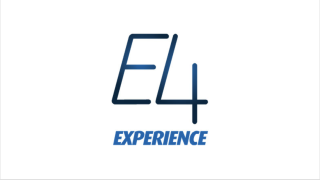 Almo Professional A/V will introduce the 2019 E4 Experience, a rebranded, expanded version of its E4 AV Tour in Chicago on March 12. Almo is continuing its education partnership with AVIXA by offering courses worth CTS Renewal Units (RUs), while bringing new certification opportunities with the SDVoE Alliance and the Digital Signage Federation to E4 Experience attendees. Almo is also adding a new E4 Concierge service to plan a customized experience based on attendee needs and interests. “The E4 Experience is so much more than an event—it’s an invaluable, full-day encounter that enables resellers, integrators, and end users to truly deepen their AV knowledge and ultimately change the trajectory of their AV careers,” said Melody Craigmyle, vice president of marketing and communications, Almo Corporation. Registration is now open for the Chicago event here: https://www.e4experience.com/chicago19/. Additional events include: Southern California on April 5, NYC Metro on Sept. 25, and Atlanta on Oct. 15.